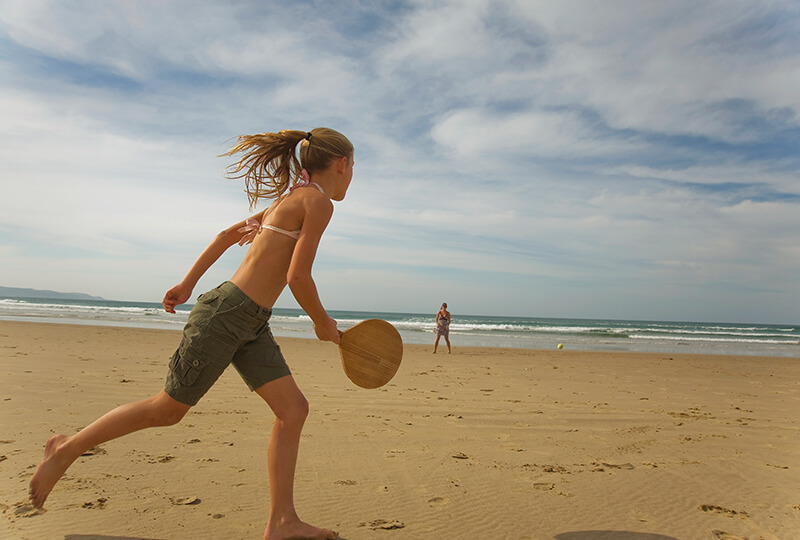 Release that excess energy with a variety of Wild Coast sports activities! If you don’t like to spend one day away from your favourite sporting pursuit, we can offer you a wide variety of popular Wild Coast sports activities, either right here on our premise, or just a short distance away by foot or car. With all the activities at Crawfords Beach Lodge there’s no time for the kids to get bored. When you don’t want to face the Wild Coast breakers you’ll love our crystal clear, sparkling blue pool. Keen bowlers will appreciate the beautiful greens just a short walk from Crawford’s Beach Lodge. Whether you’re a budding Raphael Nadal or a rank beginner, you’ll enjoy knocking a few balls around our well-maintained all-weather court. We’ll even provide the balls and raquets. When the Wild Coast weather keeps you indoors there’s no need to let boredom get to you. Enjoy a game or two of table tennis or pool, or any of the other indoor activities on offer. Golfers of all skill levels will find a variety of great courses within easy reach of Crawford’s Beach Lodge, including the East London Golf Course, West Bank Golf Course (also in East London), the Gonubie Golf Course and Olivewood Golf Course. 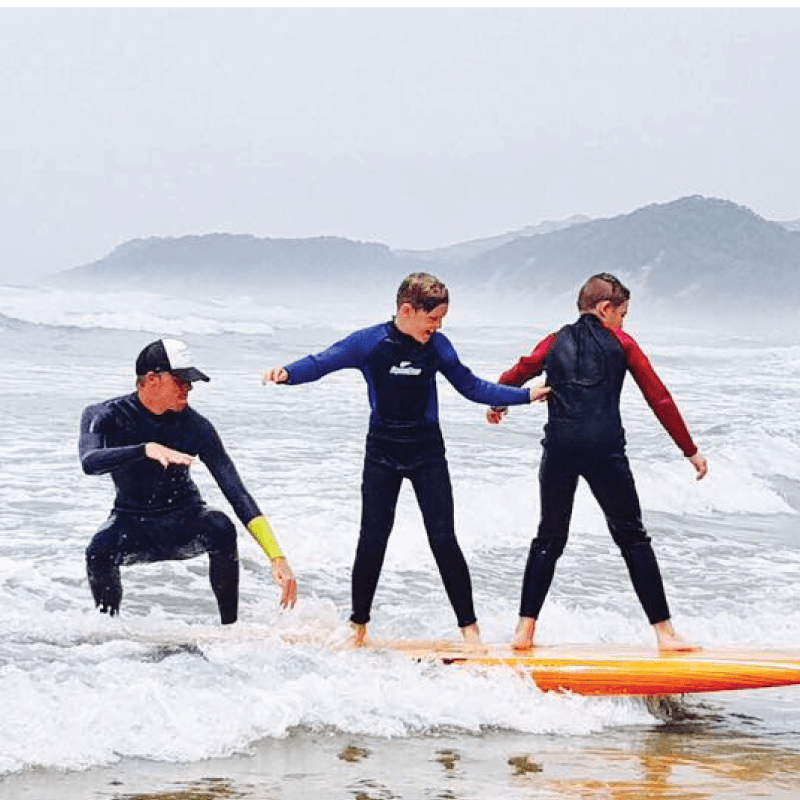 If you’ve ever wondered what it’s like to answer the call “Surf’s up!”, our instructors are eager to teach you the ins-and-outs of one of the most exhilarating sports in the world. It’s time to don your board shorts.